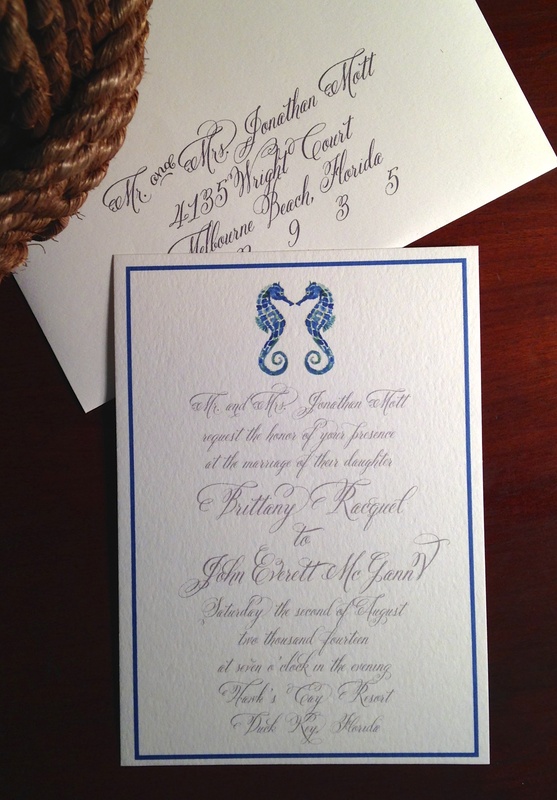 This Invitation Suite takes care of the brides something blue! Almost any shade of blue or green can be pulled from these sweet seahorses. 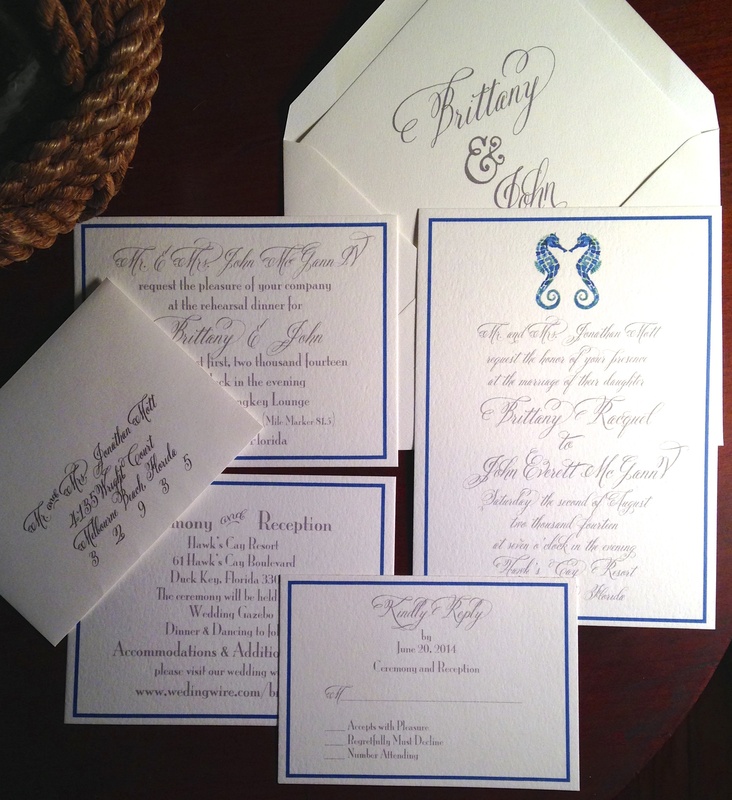 The personalized envelope liner ads a nice surprise for your guests. Perfect for a soiree by the sea. 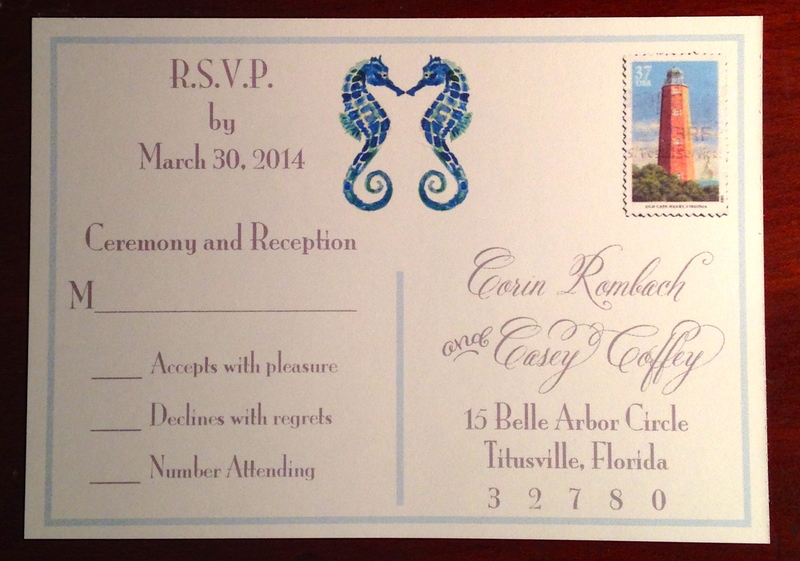 You may choose an envelope for the RSVP, or a simple postcard. 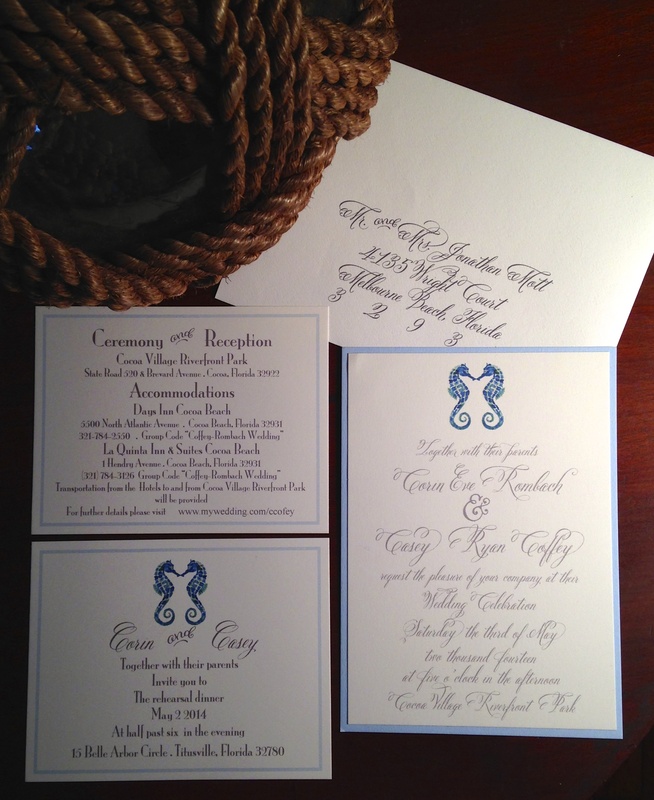 Flat printed insert cards were used for all the weekend details and to invite guests to the other events as well.